The Nova 3 was one of the best looking smartphones of its time. The Nova 4 is also not an exception. The design is quite similar to the Huawei P20 Pro with the three back cameras. The glossy back is made of glass to provide the best looks in the smartphone. In the front side it has a big 6.4 inch Full HD+ IPS LCD panel with 1080x2310 pixels and a hole on the left corner of the display for the front camera. The pixel density here will be 398 PPI with 19.2:9 aspect ratio. The Nova 4 lacks the latest chipset of nowadays. It comes with the same SoC that was included in its predecessor also, the Kirin 970 by Huawei. Its a 10 nm based flagship processor from Huawei that can give a max clock speed of 2.4 GHz. The graphics section will be supported by Mali's G72 MP12 GPU for better experience. Also this will enable the GPU Turbo 2.0 in the Nova 4. The processor looks quite out dated but the pricing may be the reason for the compromise. Inside the Nova 4, there will be installed the latest software from Huawei, the EMUI 9.0 based on Android Pie (9.0), which is the latest from Google. The Huawei Nova 4 is definitely going to be a camera centric phone. Usually we see ram and rom variants of smartphones. But Huawei is going to launch three different variants of the Nova 4 with various camera module. The lower variant will carry a single 48 MP Sony IMX586 sensor on the rear side. The highest version will have triple camera setup on the rear side of 48+16+2 MP sensors with f/1.8, f/2.2 and f/2.4 aperture respectively. There is another variant of Nova 4, the standard variant which will not carry the 48 sensor in it and will come with 20 MP sensor instead. The remaining 16 and 2 MP sensors will be same. The prices will vary with the camera module also. In the front side, a 25 MP selfie camera with f/2.0 aperture will be attached under the display hole and this will be common in all the variants. 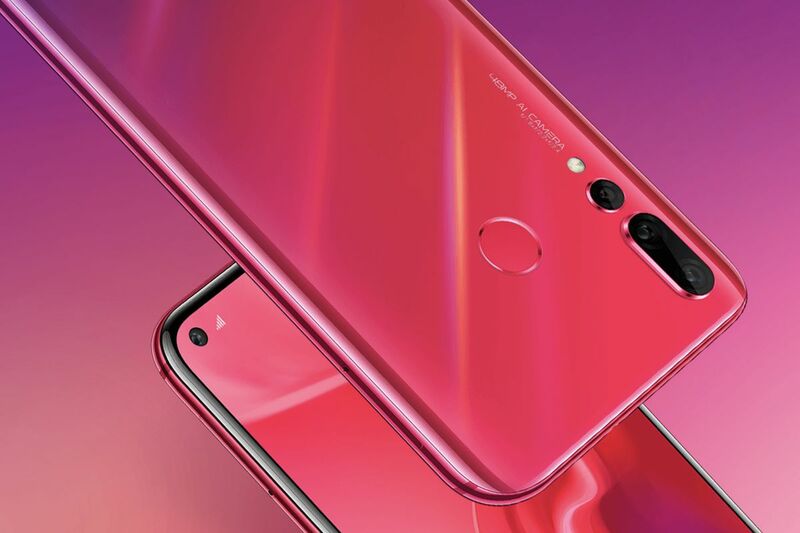 The Huawei Nova 4 was launched in China on 17th December, 2018. Pricing had been very impressive if we look at the specs specially the cameras. The 20MP camera variant costs CNY 3099 (approx $450 / 32,000/- INR). 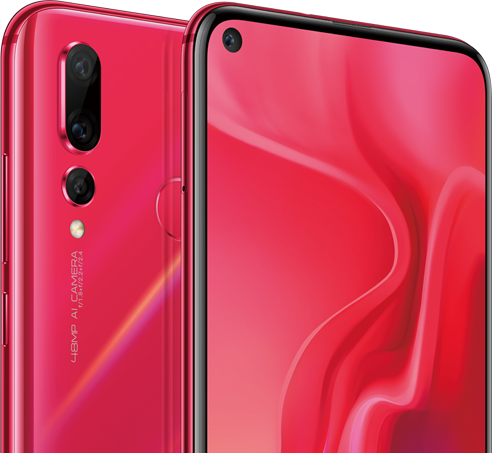 On the other hand, the Huawei Nova 4 with the single 48MP primary sensor is priced slightly higher at CNY 3399 (approx $490 / 35,000/- INR). Also there will be 4 colour variants of Black, Blue, White and Honey Red. All of the variants will be available with upto 8 GB ram and 128 GB storage option. The Huawei Nova will have a 3750 maH battery in it, that is not very big but you can get a day of backup with it. Connectivity options will be served with 4G VoLTE, Wi-Fi 802.11 a/b/g/n/ac (2.4GHz & 5GHz), Bluetooth 4.2 LE, GPS, and USB Type-C port with 18W fast charging support. The specs and the pricing of the successor for the Nova 4 looks quite impressive. If Huawei can bring it with the right pricing in India, this phone can make a way for itself. Huawei Nova series has already crossed 65 million mark overall. Though the processor is a bit old but Huawei can make over it with the price point.